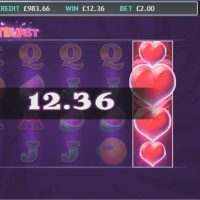 You’ll fall in love once you’ve played Heartburst, the new slot game from Eyecon. 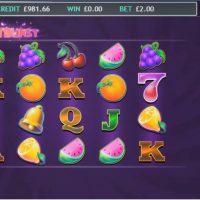 Heartburst’s fruity theme won’t leave you sour, as its 5 reel 100 payline grid and citrus-based symbols will have you feeling all nostalgic. This game comes with everything you’d expect from a slot game fashioned on the classic fruit machine (much like Rainbow Riches). There are standard fruit symbols (a bunch of grapes, a whole orange, sliced orange, watermelon, cherry, lemon), bars, bells, 4 card symbols (J, Q, K, A), and the all-important Wild Symbol – a heart. 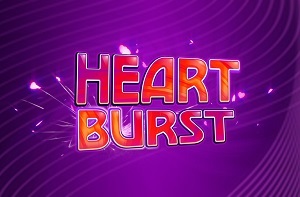 Visually, Heartburst is vibrant and eye-catching. 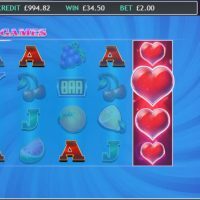 It won’t surprise regular players with unique animations but the brilliance of the symbols – and the symbols themselves – might hark back to the days of the 3×3 fruit machines. Bet anywhere from £0.01 to £5.00 per spin. There’s also an autoplay function that gives you 100 automatic spins. For the Wild Symbol, you have a juicy red love heart. 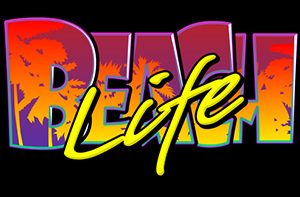 This substitutes for all other symbols except the Scatter. They only land on reels 1, 3, and 5 and expand over the whole reel they’re on along with a 3x multiplier. I’m feeling the love already! That Scatter Symbol comes in the form of some lucky 7’s. When you trigger 3 or more of them, you unlock the Free Spins round. Depending on the number of Lucky 7’s you trigger, you get 15 (3 Lucky 7’s), 20 (4) or 25 (5) free spins. The free spins round can be enabled up to 15 times. This adds up to 375 free spins if you’re luck comes in! There’s also a Gamble Bonus. You can opt to gamble your winnings in a double or nothing scenario. To play the bonus, you’re given 2 options and you have to guess correctly to double your winnings. Get it wrong and you lose everything. You can do this up to 5 times per round. The house edge bursts in at 4.5% so you want to bring a bulging bankroll for this one. In the immortal words of architect Mies van der Rohe, “less is more”. Heartburst thrives under that principle with a basic layout and standard features. Where it lacks in innovation, it works in simplicity; you have 100 different chances to win per spin and the bonuses are easy to understand. The house edge of 4.5% might not justify its modest gameplay though. I can see this being something for people used to the bright lights of the old penny fruit machines at the arcade. Big win chaser should probably look elsewhere.